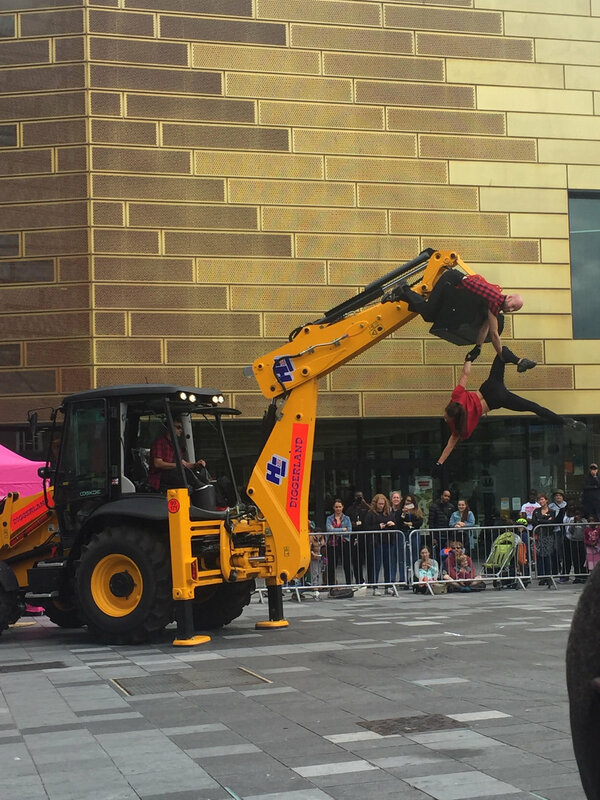 EXO was a stunning outdoor spectacle of dancers and a JCB digger, brought to Circulate in 2018 by Motionhouse. Featuring two incredible performers and a driver, EXO saw the two dancing in an extraordinary partnership in an incredible display of strength, emotion, and beauty. Following on from Traction and Fragile, EXO explored the relationship between man and machine, creating excitement for all the family and wowing our audiences.